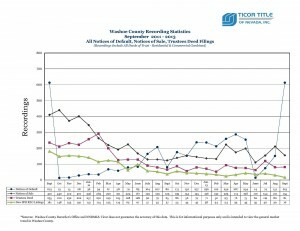 Thank you to Ticor Title for the updated Washoe County foreclosure statistics. You can view the report by clicking on the picture to the right. Whoa Nelly!!! There was a spike in the Notice of Default filings. Almost exactly opposite to the drop before AB284 in September 2011. Of course, this is caused by the implementation of SB321 on October 1, 2013. The banks were trying to get as many filings into the foreclosure mill as they could before they were handcuffed by SB321. At best, these filings will the hit market as REOs in 9-16 months . Though they could cause an increase in short sales. Probably not enough to affect the market overall. Expect, the October numbers to drop into the low teens (only 5 recorded as of 10/8/2013). Posted in For Buyers, For Sellers, Market Update and tagged reno foreclosure notice, reno foreclosure short sale agent broker, reno foreclosures down, reno notice of default filings up, reno real estate foreclosure stats. ← How does the Nevada Homeowner’s Bill of Rights work?